You can learn Spanish online from wherever you want (home, the office, the beach) whenever you want. A new concept in learning Spanish, thanks to the internet. 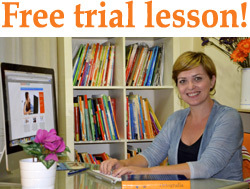 Your Spanish lessons online: you choose the day, the time and the place to speak Spanish on Spanish Skype!